What Time Does the DMV Open? The Department of Motor Vehicles (DMV) is usually a very busy place. If you aren’t prepared for it, or it’s your first time to visit, it can be downright intimidating. With a little bit of planning, you can cut through a lot of the hassle and conclude your business with the DMV much more pleasantly. 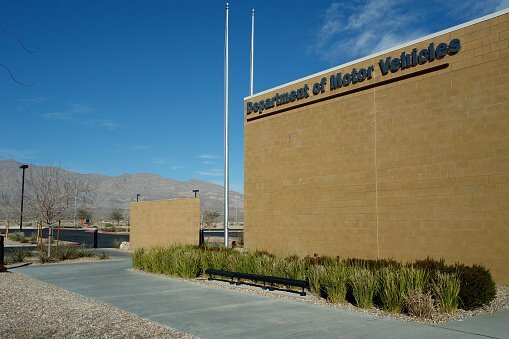 Each state has its own DMV department. You can find information on your local DMV office by doing a little search online. Just enter your zip code or city and state abbreviation here to find the DMV nearest you. Most DMV offices will be open Monday through Friday. Some may be open on Saturday morning but you should check with the specific office you’re planning to visit before assuming they’ll be open on the weekend. On average, operating hours will begin between 7 a.m. and 9 a.m. at most DMV offices. Closing times may vary from 4 p.m. to 6 p.m. on most days. Again, checking with your local DMV before going to the office is always a good idea. You can call them. They will answer the phone and happily answer your questions. Most will have a pre-recorded greeting message that lists days and hours of operation. Most states will have an online presence of some sort linked to their public safety services. If you don’t want to plow through your state’s official webpage, you can simply go here to click on a link to your state’s DMV information. Many states will allow you to take care of a wide assortment of business online. You may be able to renew a license or schedule a time for a road test. Some sites will allow you to schedule times for written exams in the office. Anytime you can schedule an appointment to take care of your business with the DMV, the better your experience will be. You will probably find you can print out necessary forms ahead of time so you’ve got your information ready when you meet your appointment. Going to the DMV can, in reality, be nothing short of a nightmare. When you simply “drop in” to the DMV, go in prepared to spend the day. Wait times can be a full eight hours or more. Many offices require you to “take a number” when you arrive. Imagine drawing number 327, only to hear an announcement, “Now serving number 61.” Settle in; it’s going to be a long day. That’s assuming, of course, that you were able to find a parking spot anywhere near the actual office. Make sure to wear your most comfortable walking shoes when you “drop in” to the DMV. You may have to walk multiple blocks from the parking space you found and the actual office. There are no meals or snacks offered by the DMV. When “dropping in,” be sure to take an energy bar or two, a couple of snacks and a large bottle of water. There may be vending machines at the office but they are, well, vending machines. Make your choices wisely. If at all possible, do not take the children with you to the DMV. Even if you have an appointment, the DMV may not be the place for impressionable minds. Suffice it to say that every form of self-expression known to humanity could be on display at any given time in the waiting room of a DMV office. Do what you must, and good luck.